A judge in Orange County, Florida has decided to allow accused murderer Markeith Loyd’s defense attorneys’ motion to hire expert witnesses under seal. Markeith Loyd is accused of killing his ex-girlfriend Sade Dixon and their unborn child in a December 13, 2016 shooting. He is also charged with first-degree murder and attempted first-degree murder of a law enforcement officer in connection with the January 2017 shooting death of Orlando police Lieutenant Debra Clayton, who was shot while trying to capture him. Loyd is charged with a total of 10 crimes and faces the death penalty. Attorney Roger Weeden filed a motion on Loyd’s behalf requesting that an alternate judge be appointed to rule on requests for expert witnesses and to keep the details of those hirings under seal. The motion did not specify which experts they wanted to bring, but generally they are mental health professionals. Weeden argued that having an alternate judge rule on expert witnesses would prevent bias and help keep key defense strategies from becoming public knowledge. Weeden said that this system has worked well in other Orange County murder cases that have been tried by other judges. Ninth Circuit Chief Judge Frederick Lauten decided that Loyd’s defense team would be allowed to file requests for hiring expert witnesses under seal and have them ruled on privately. 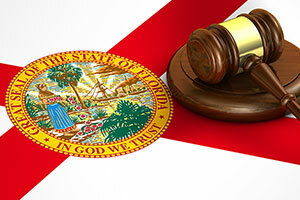 The hiring and payment decisions will be subject to a sealed review by Florida’s Justice Administrative Commission. Judge Lauten also ruled that the individual decisions and their details would be unsealed upon testimony of each witness or at the conclusion of the trial for those witnesses who are not called to testify because the public should have the right to know how much taxpayer money was spent to prosecute and defend Loyd.